Step 1: Cut out two triangles (for ears) and one oval (for a snout) from pink felt. 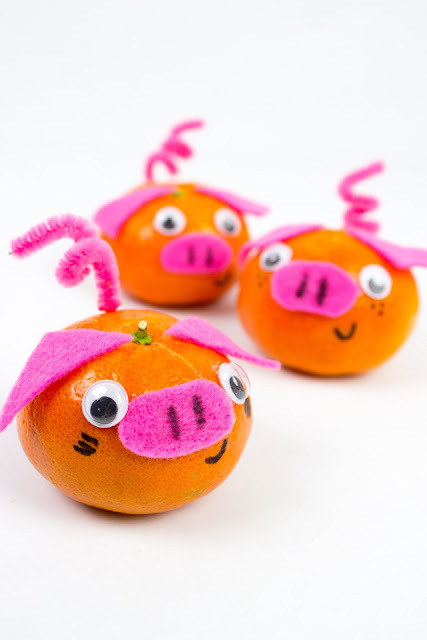 Use a Sharpie marker to draw on a snout. Step 2: Cut out a piece of pink pipe cleaner. 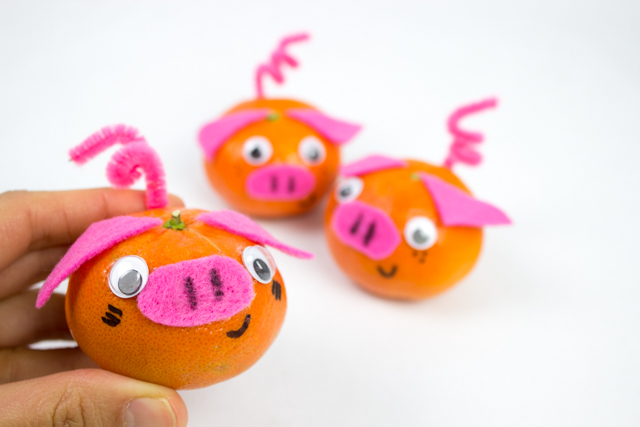 Step 3: Hot glue your ears, snout and 2 googly eyes onto your mandarins. 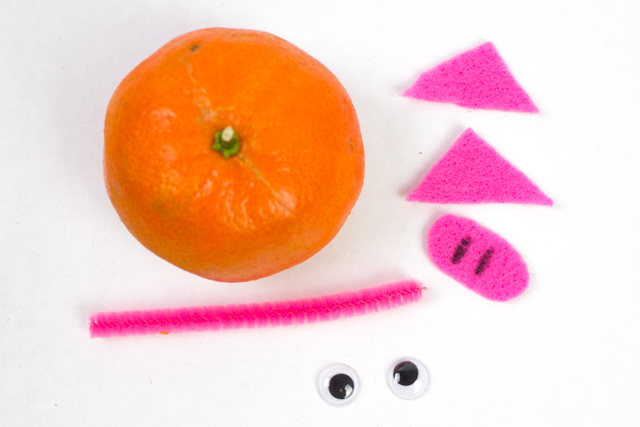 Then, curl your pink pipe cleaner around a pencil and push it into your peel for a curly tail. Step 4: Use a sharpie to add on details. 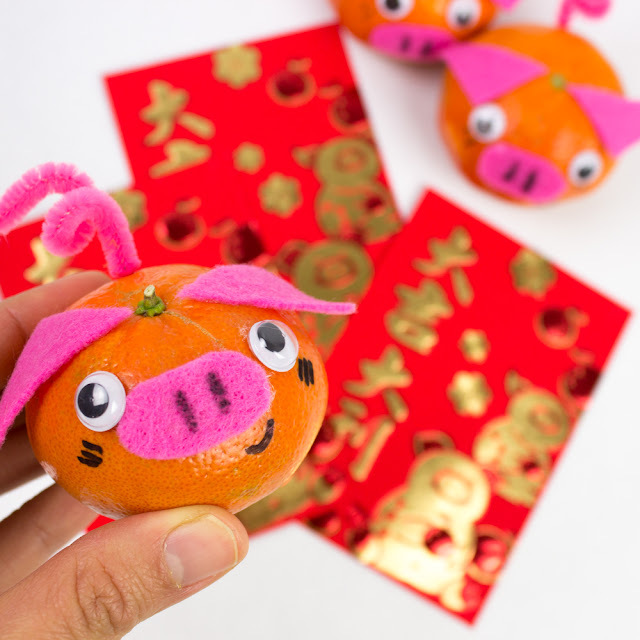 If you're looking for other fun New Year pig crafts, check out these Chinese pig watercolor paintings and these easy heart pigs. 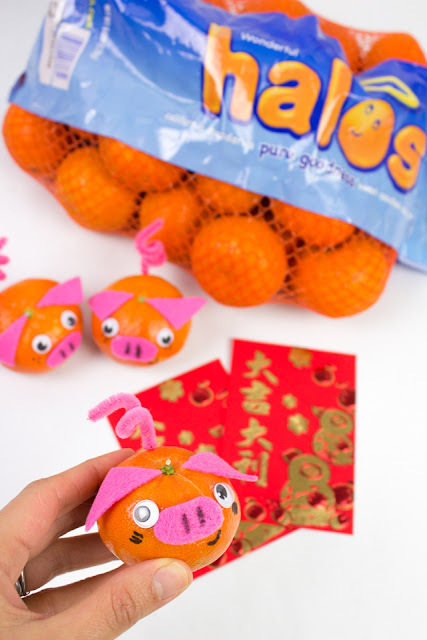 Happy New Year and happy making, friends!